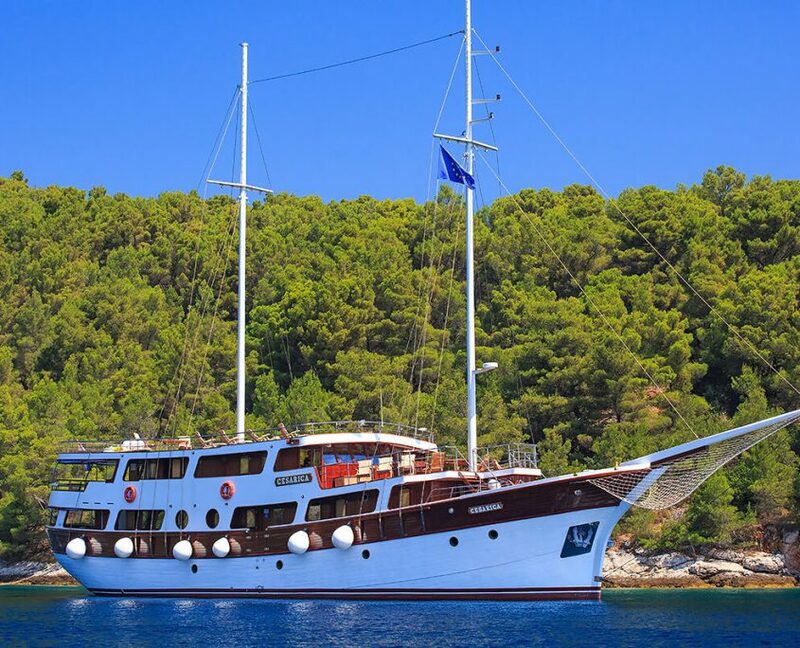 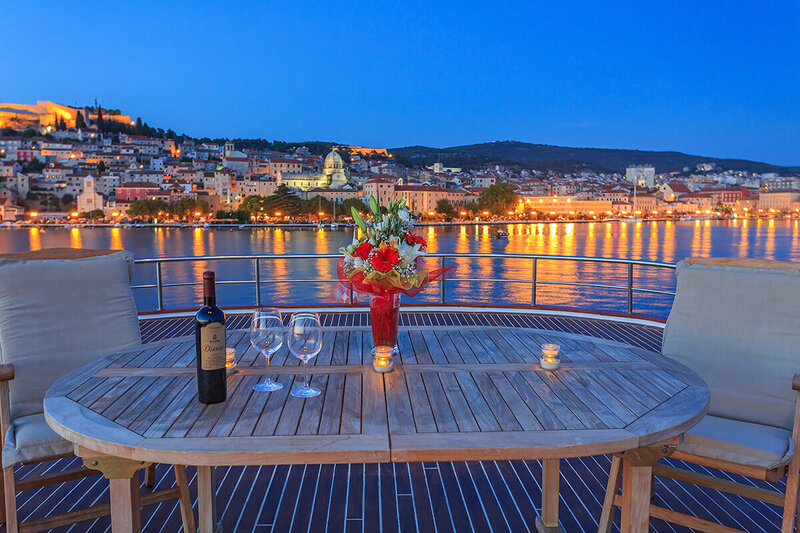 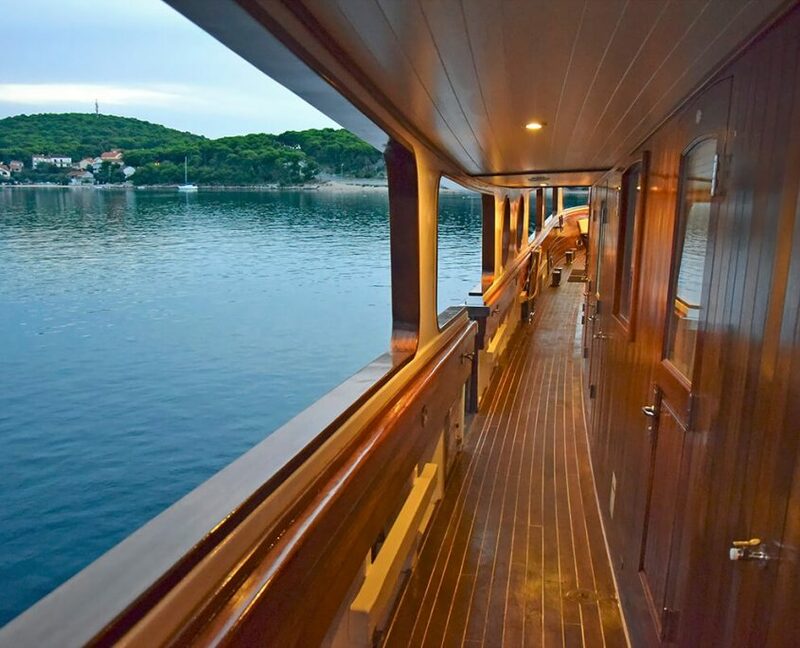 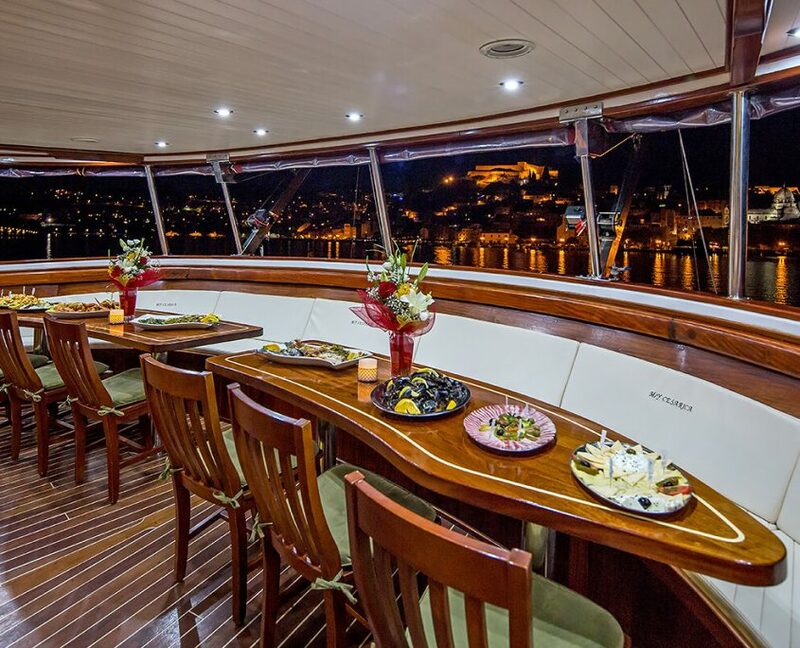 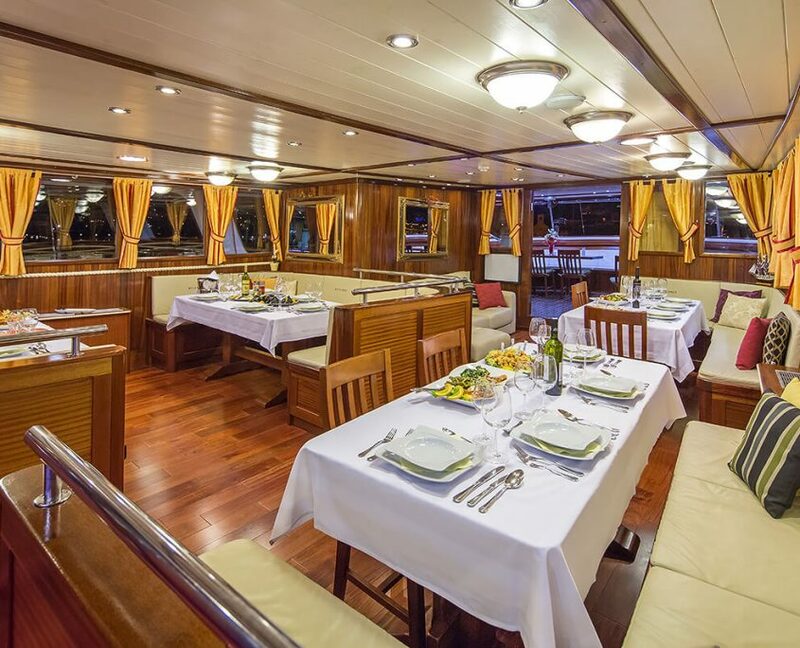 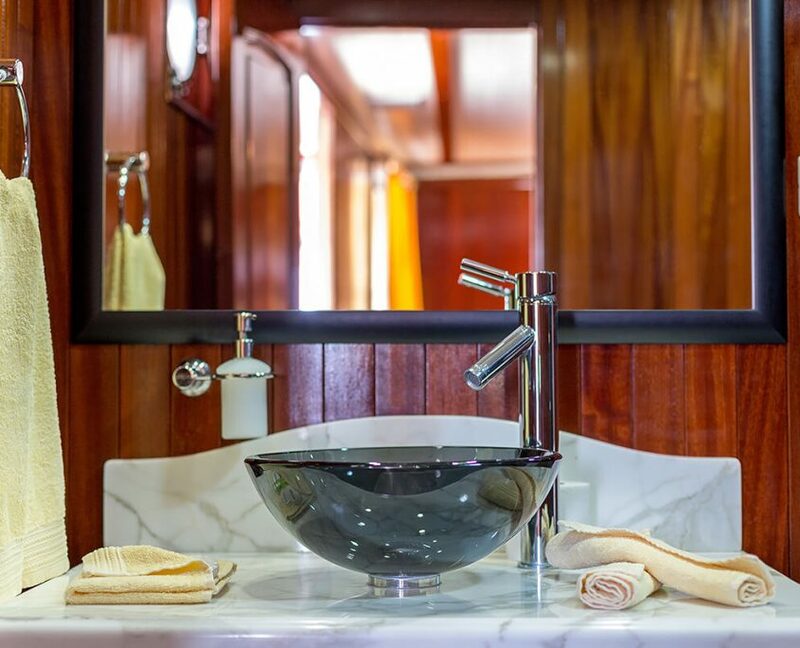 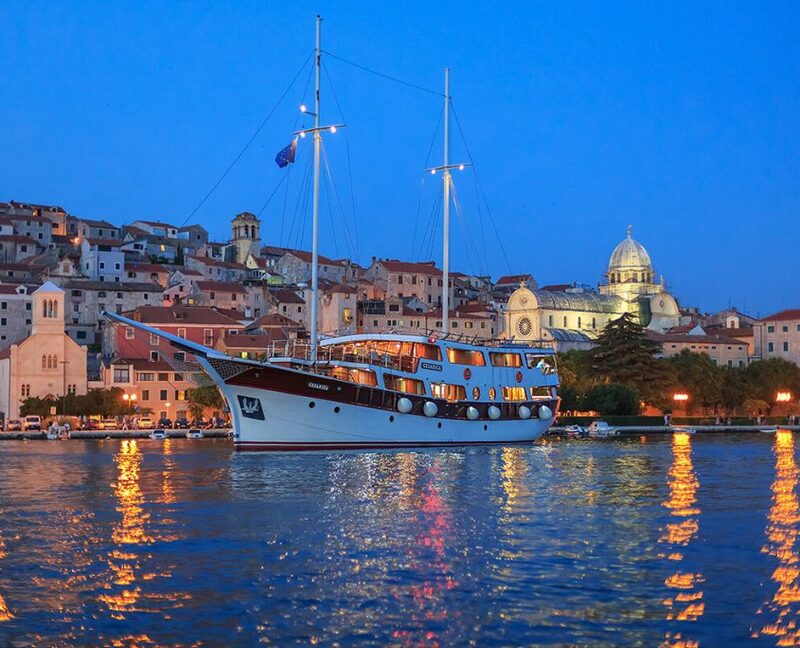 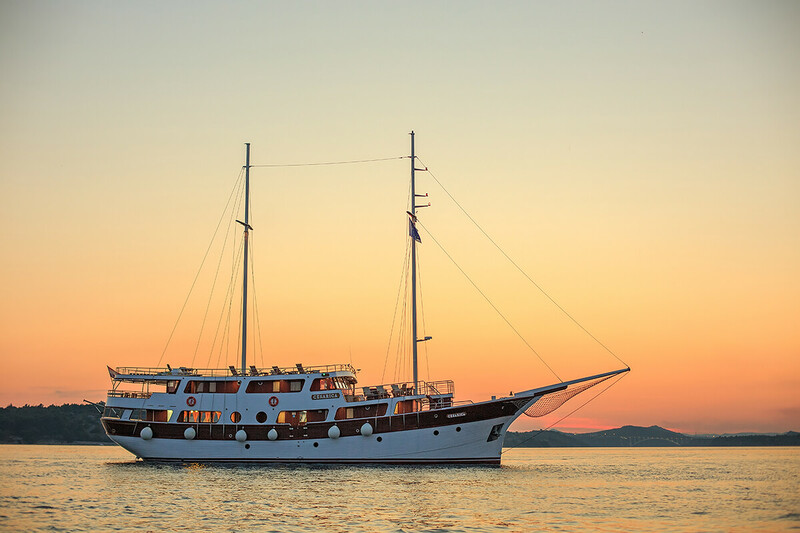 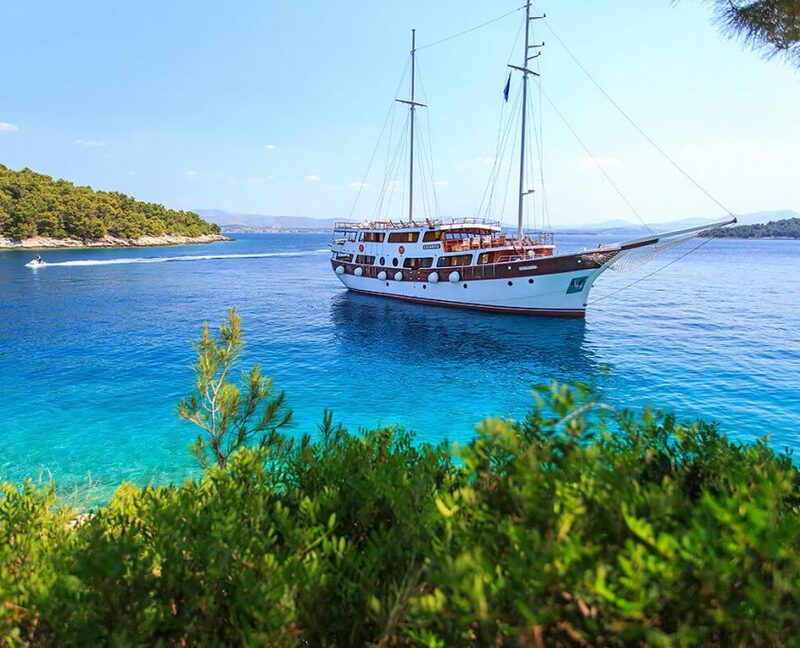 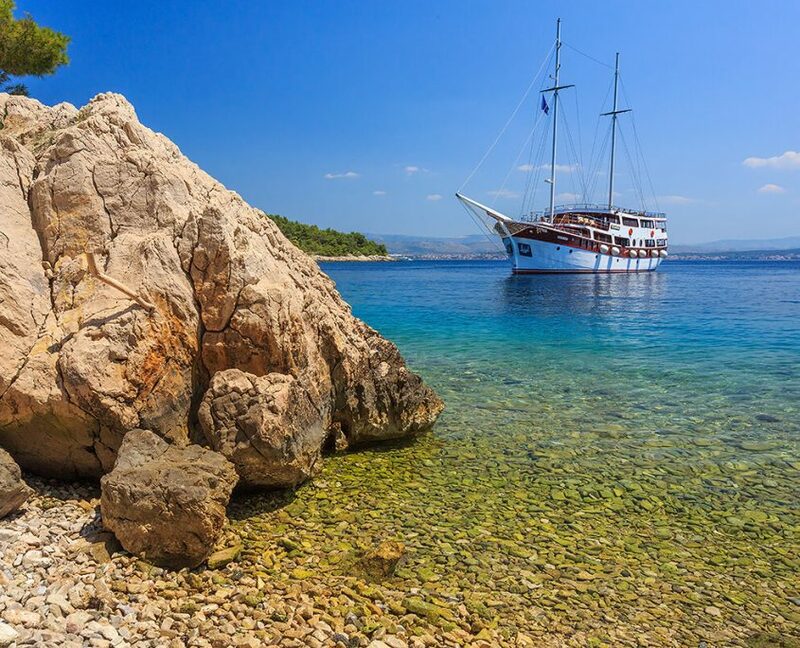 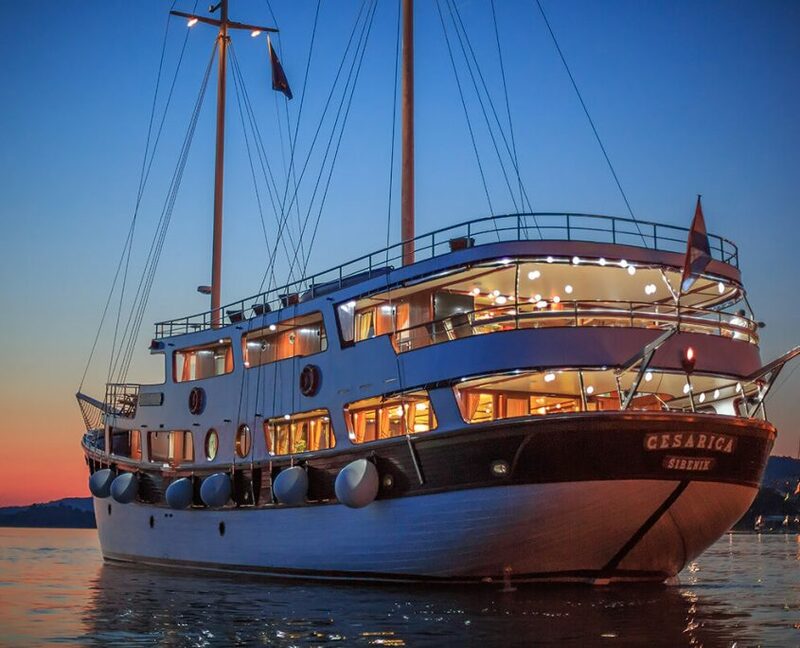 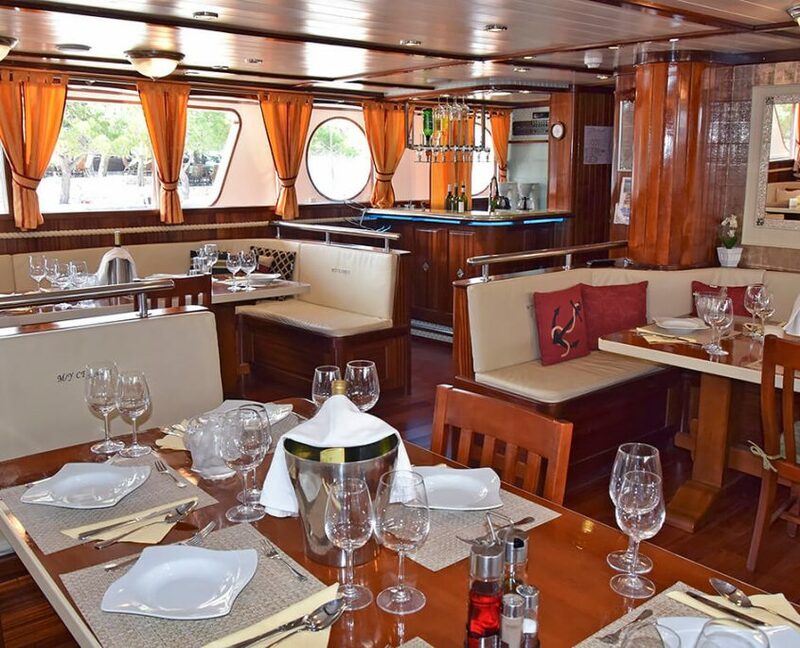 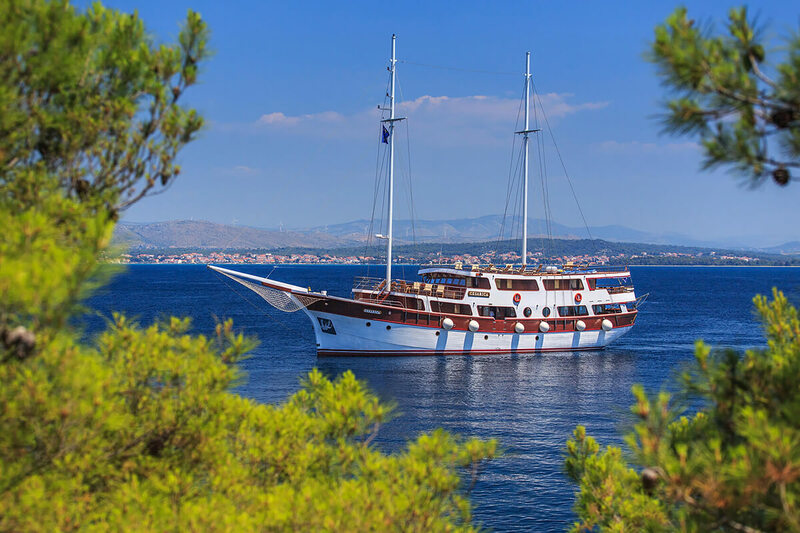 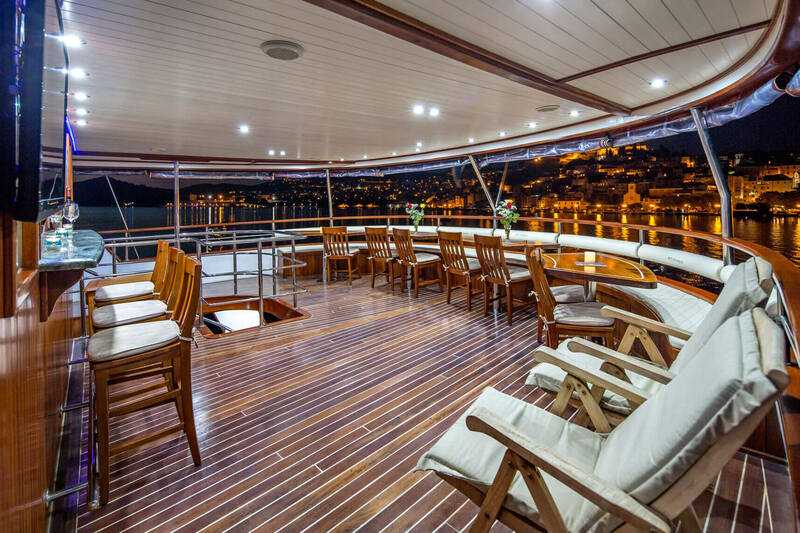 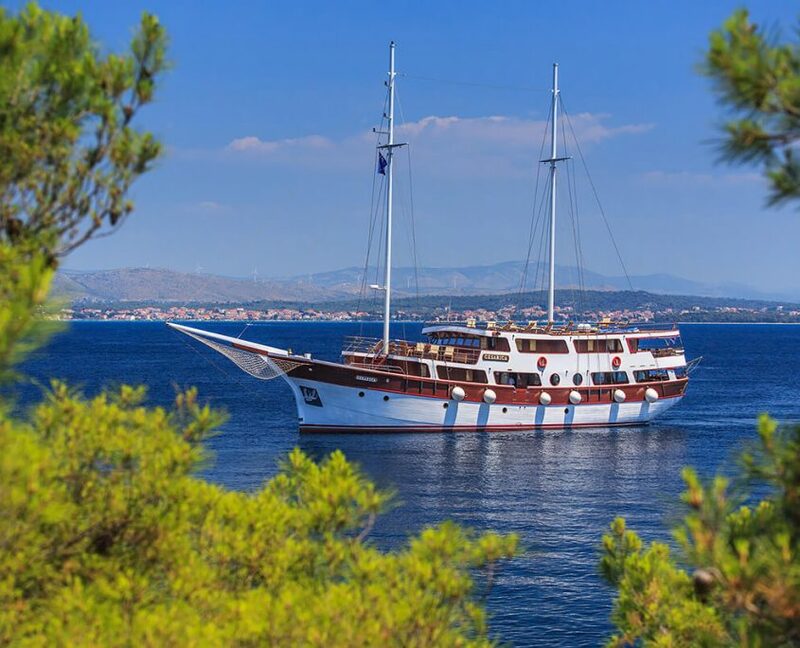 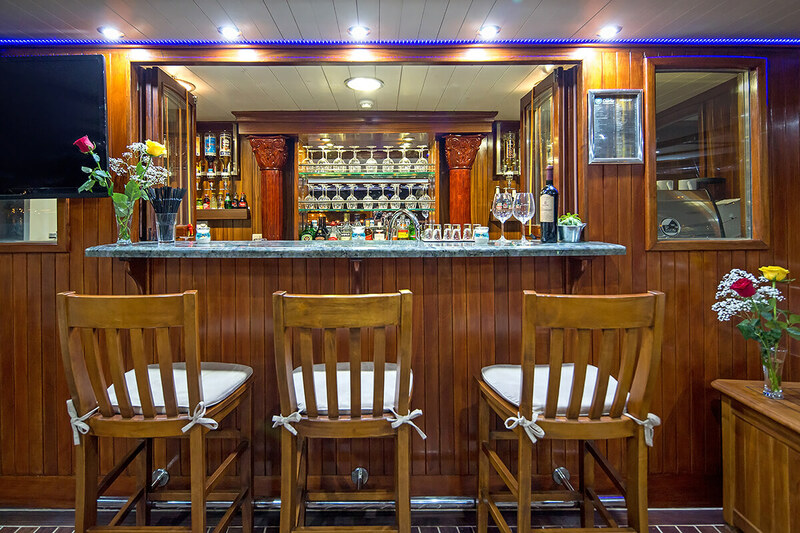 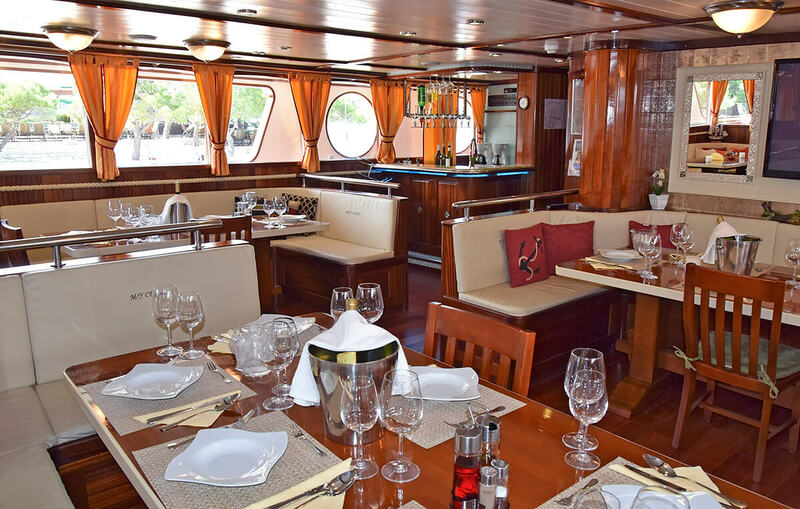 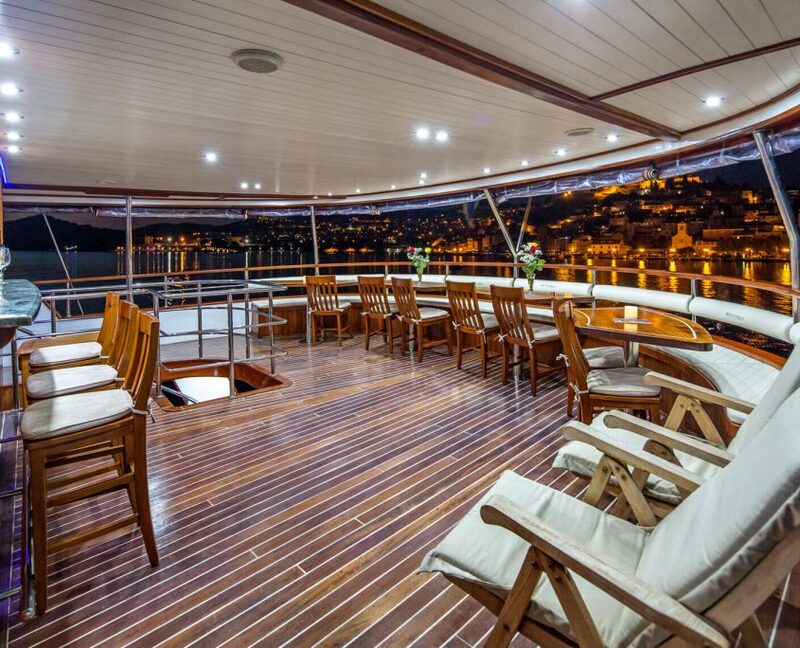 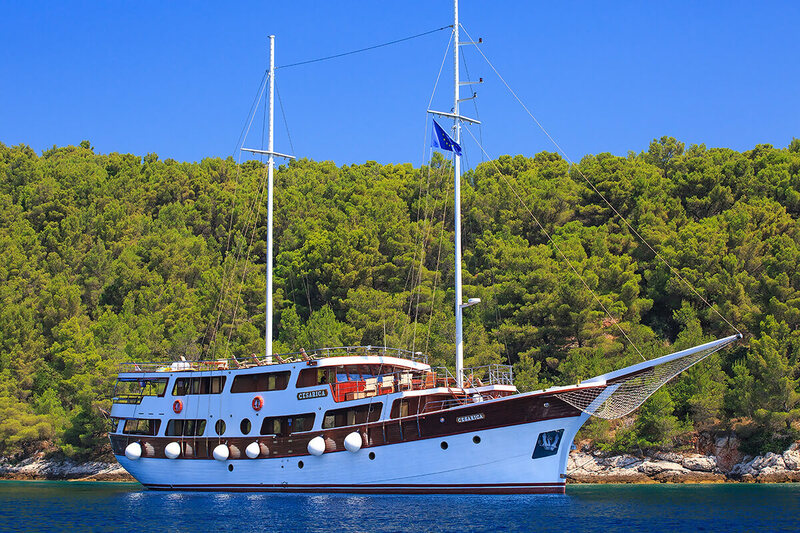 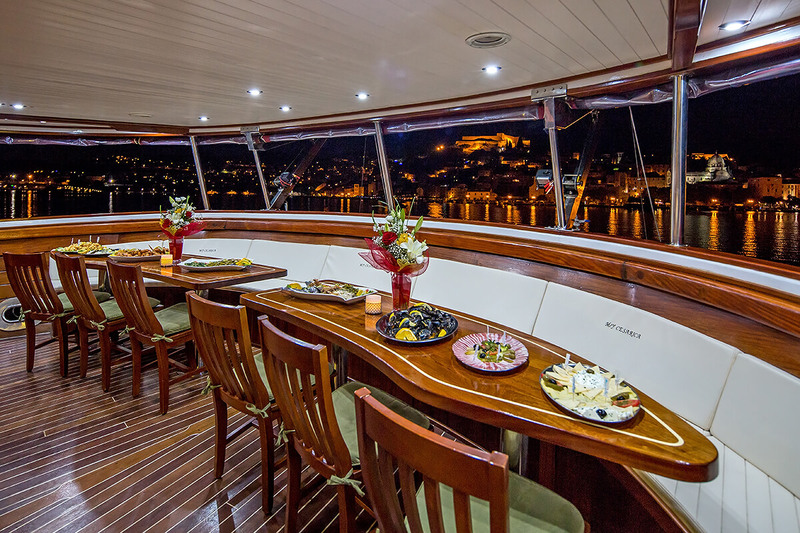 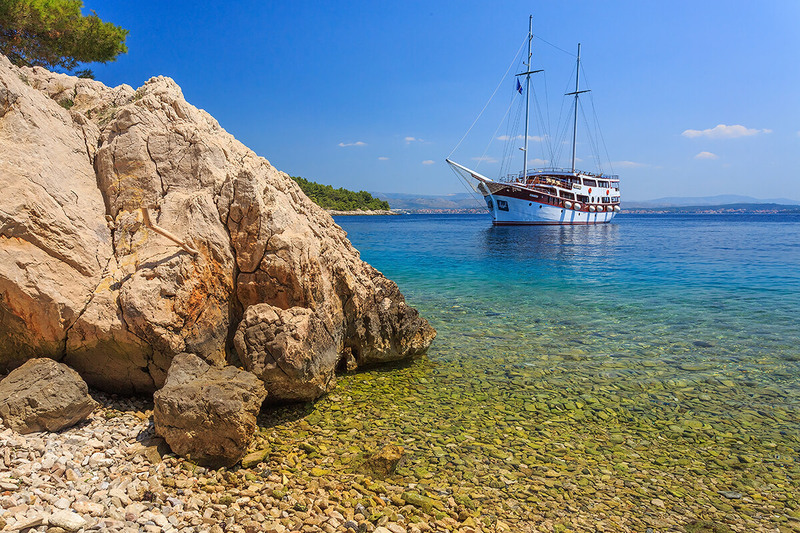 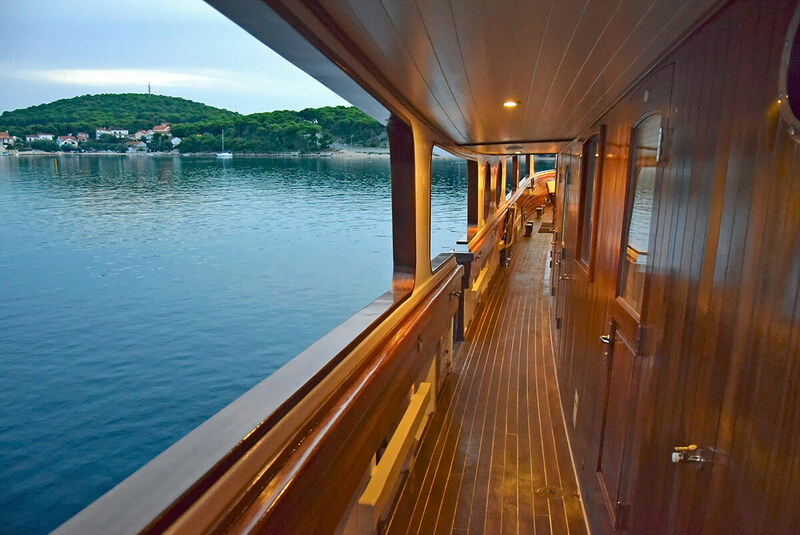 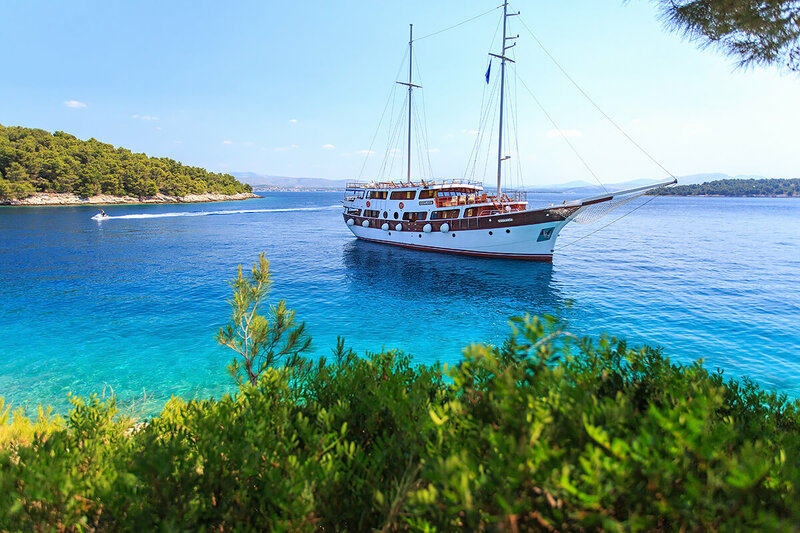 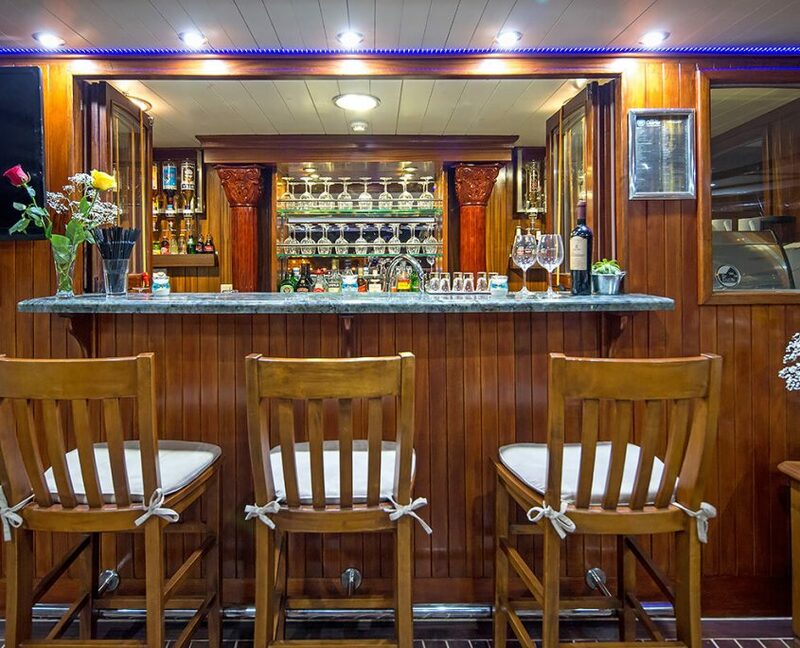 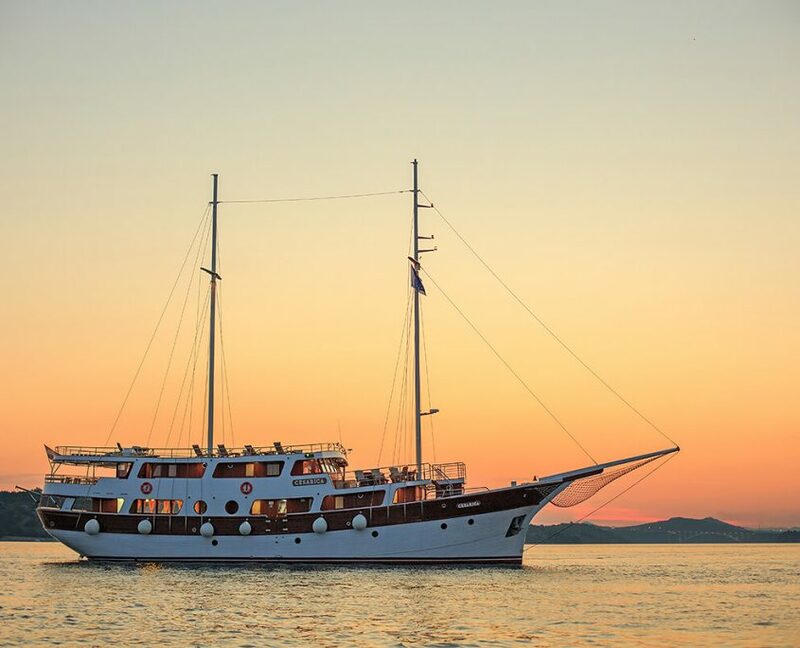 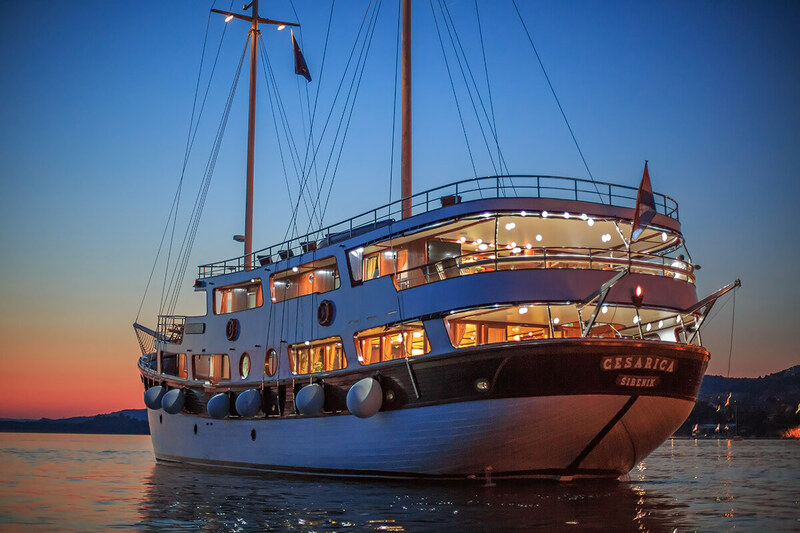 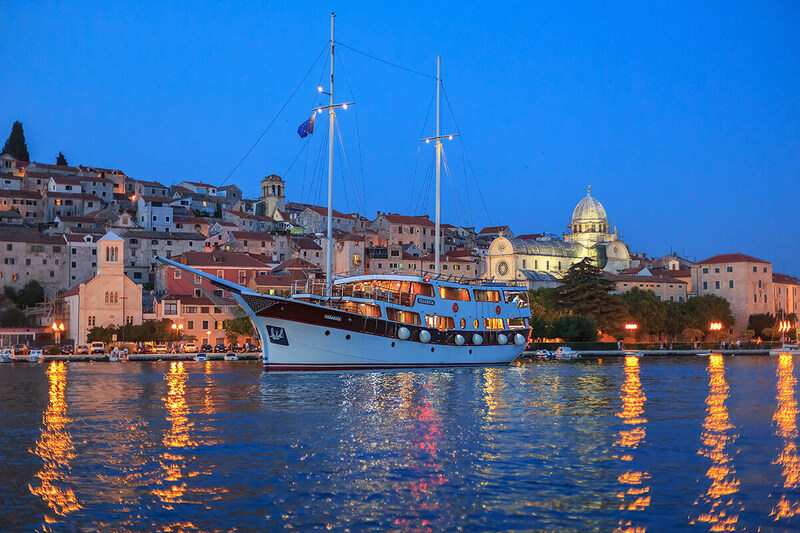 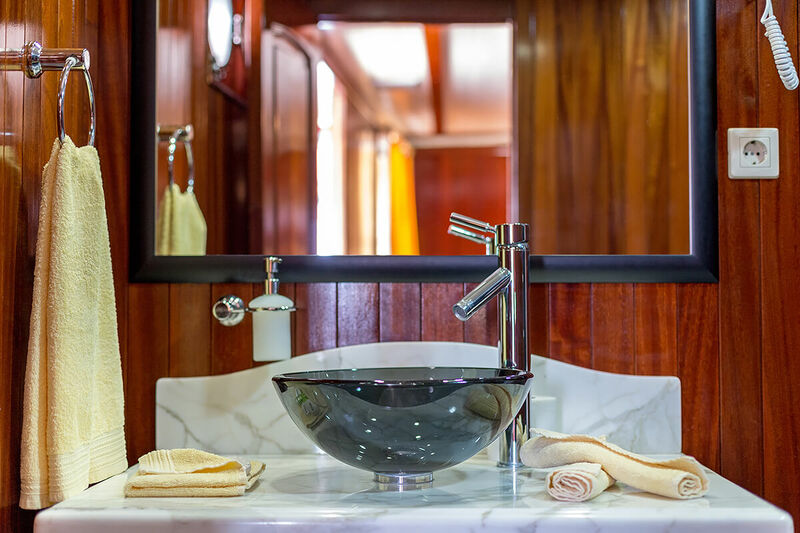 Cesarica is a deluxe motor yacht that can accommodate 22 + 2 guests. 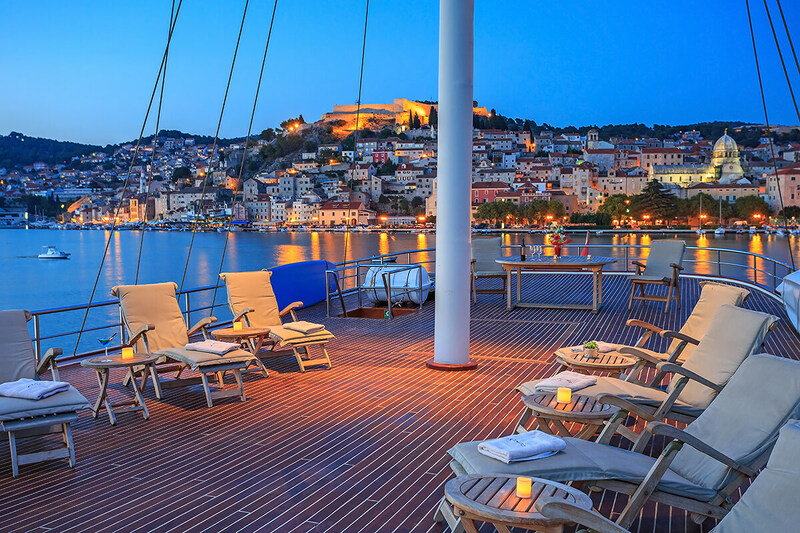 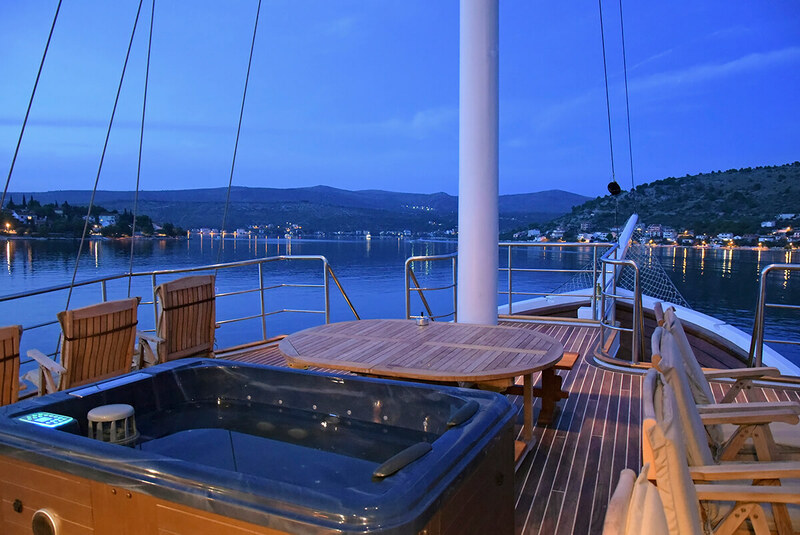 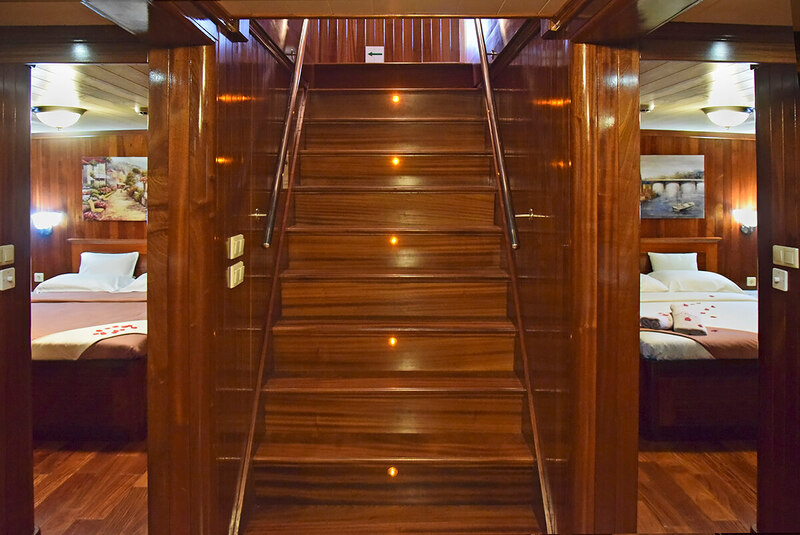 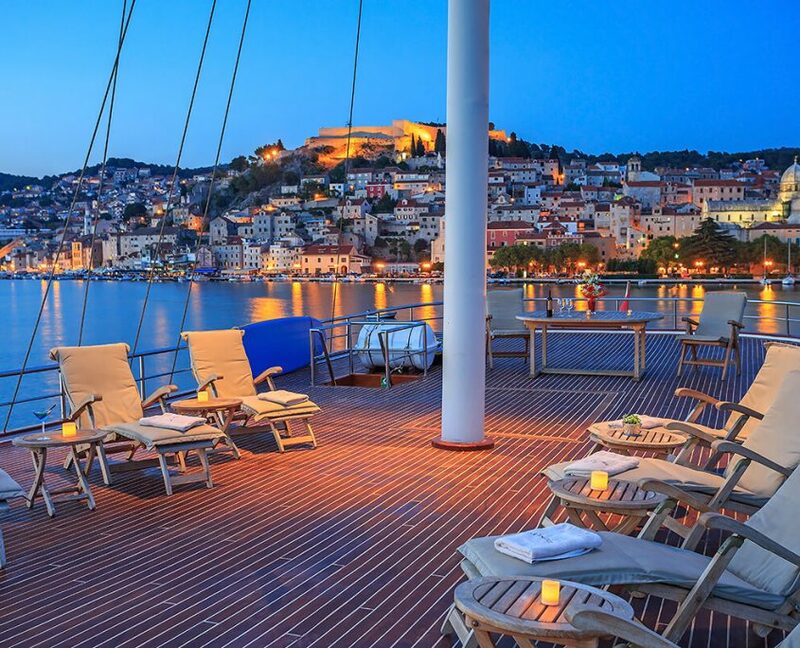 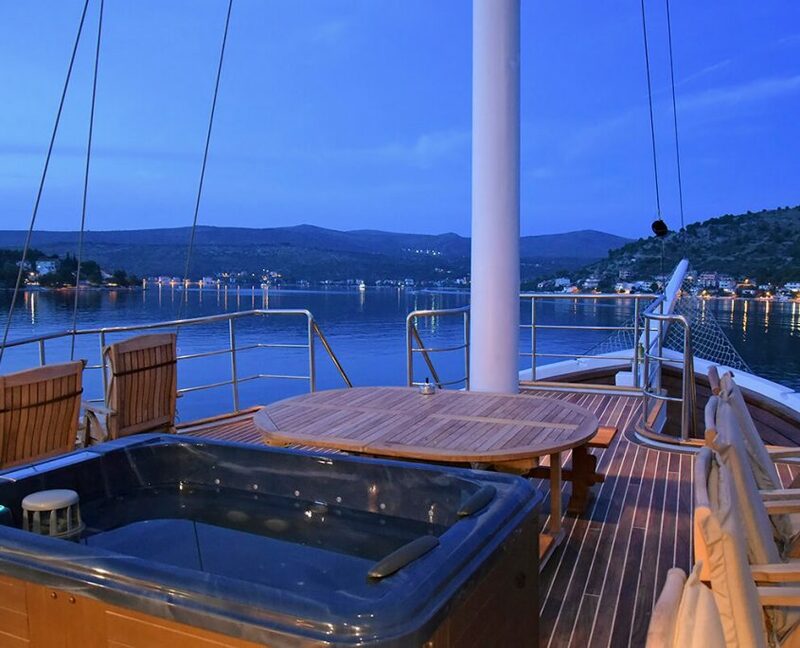 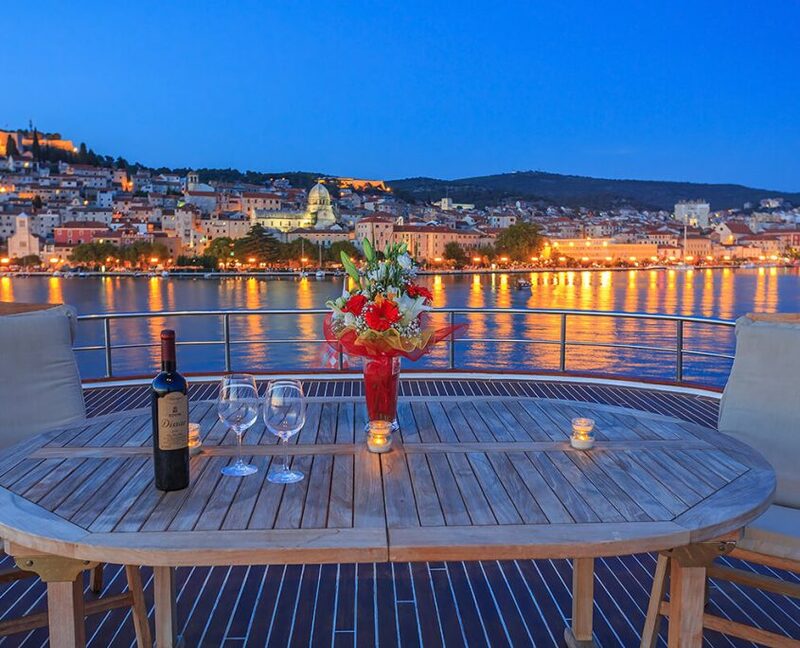 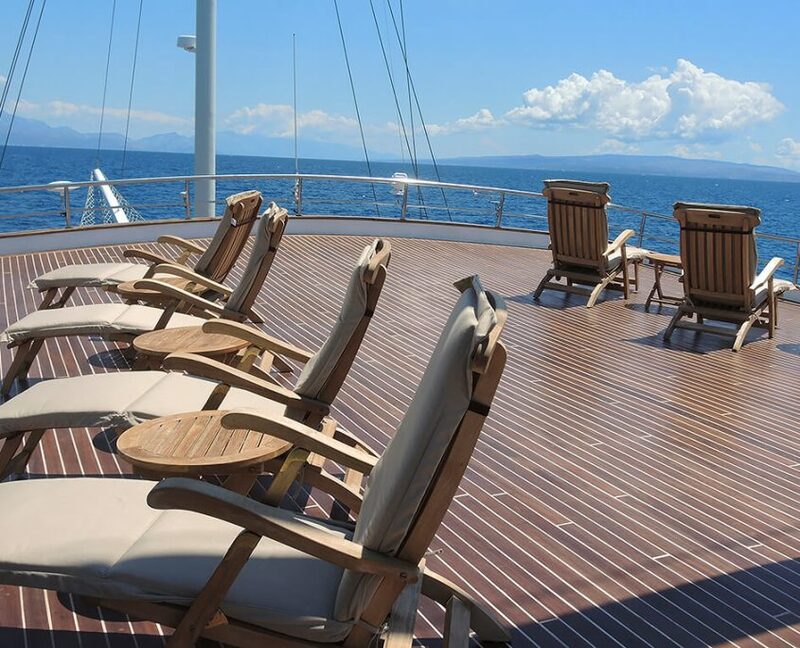 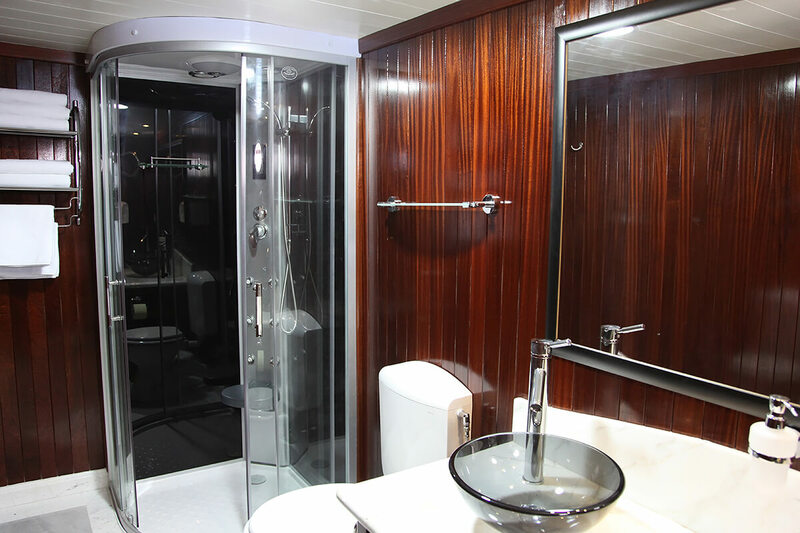 On the upper deck, there is a large Jacuzzi for daily fun or evening romance. 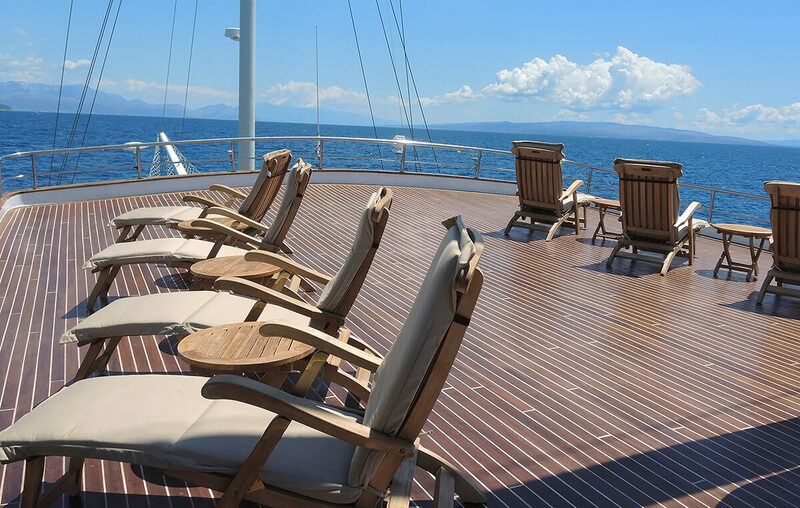 The crew consists of 8 members that will be at your disposal. 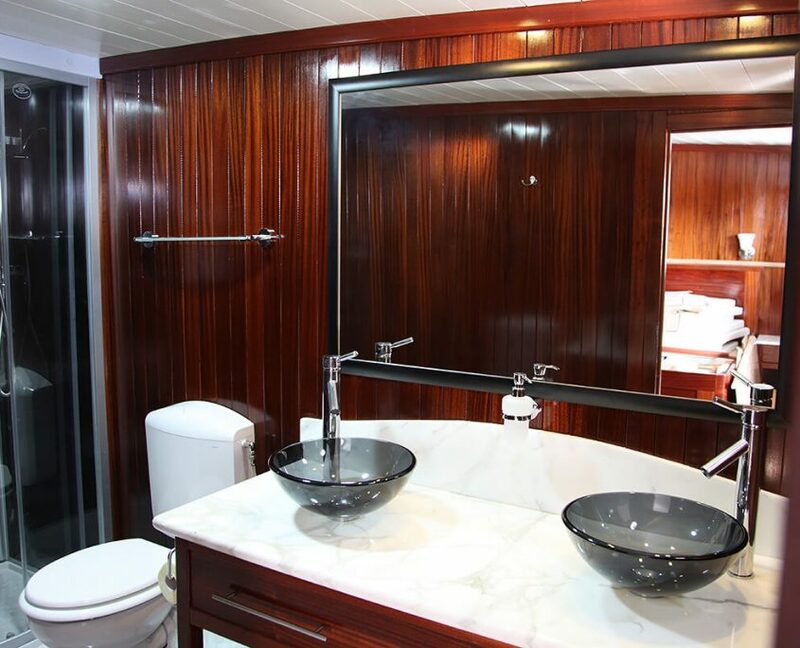 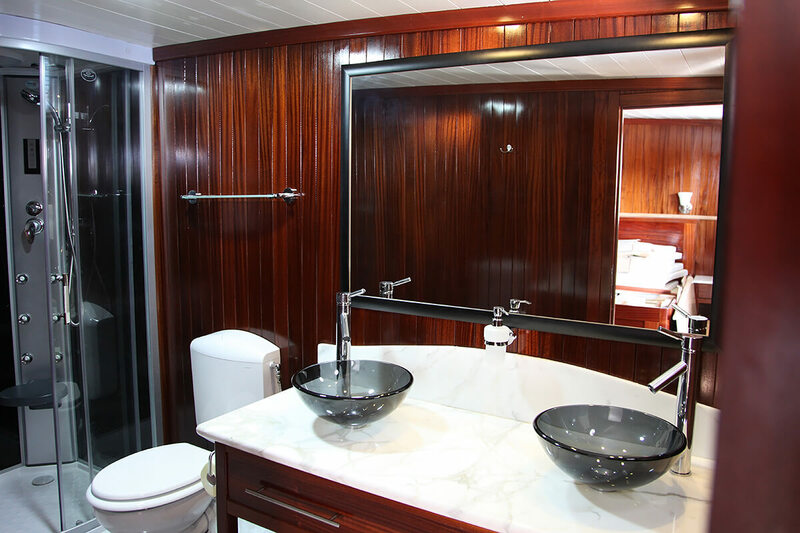 38 guests in 19 cabins with private bathroom equipped with home type toilet. 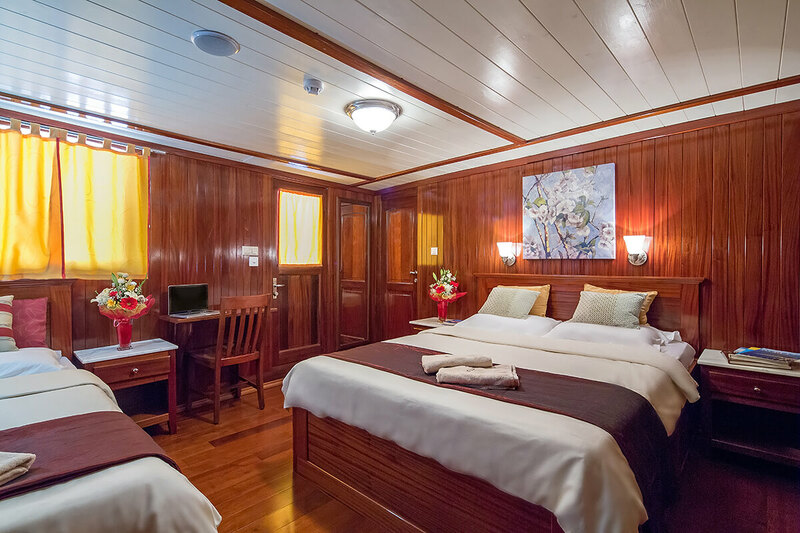 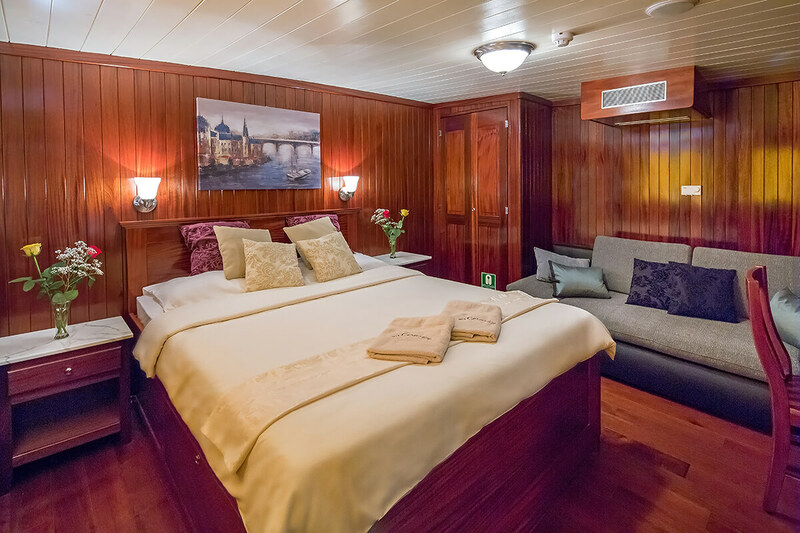 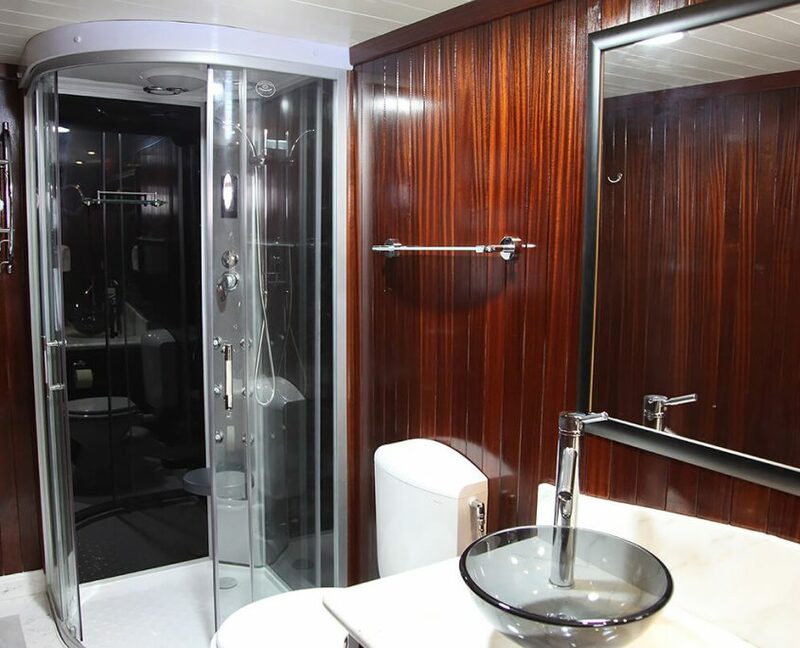 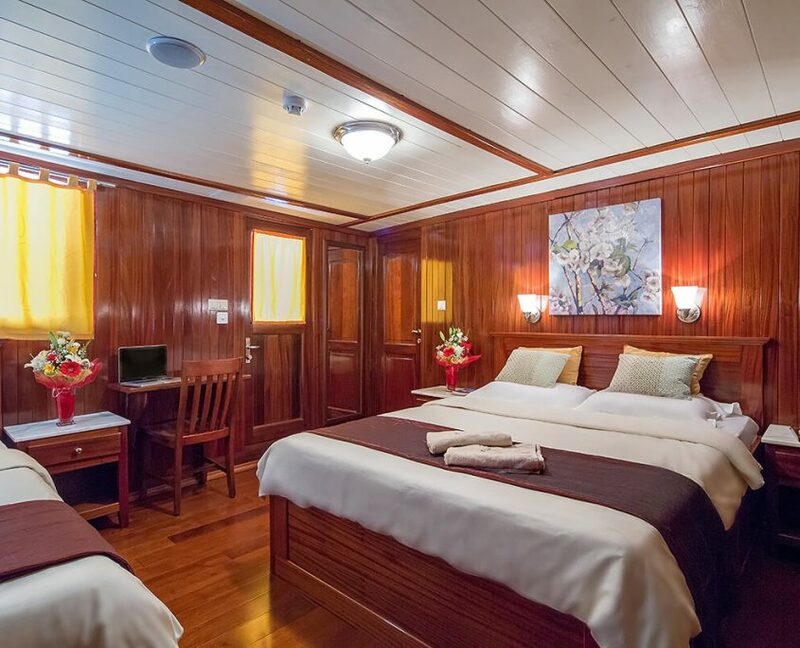 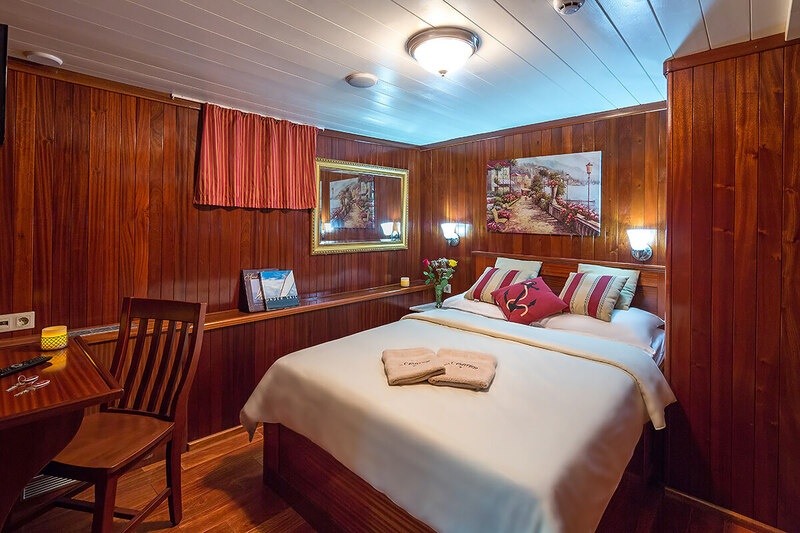 16 guests in 8 cabins with private bathroom equipped with home type toilet and shower box. 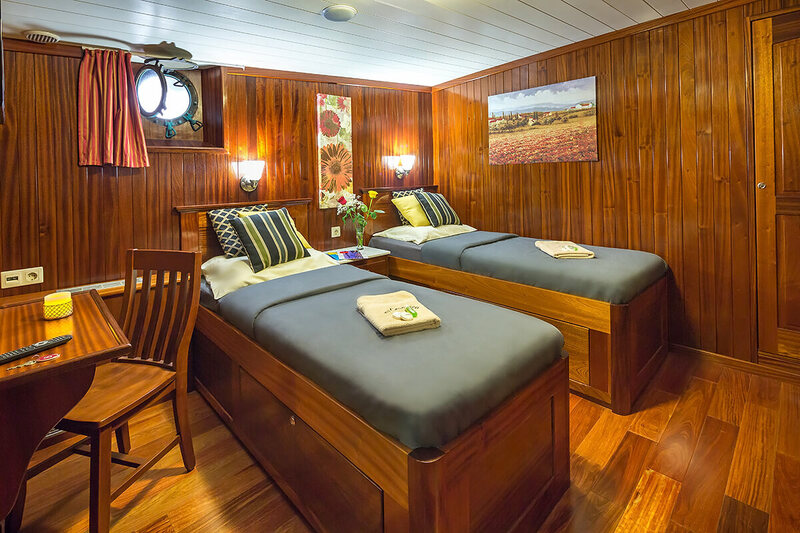 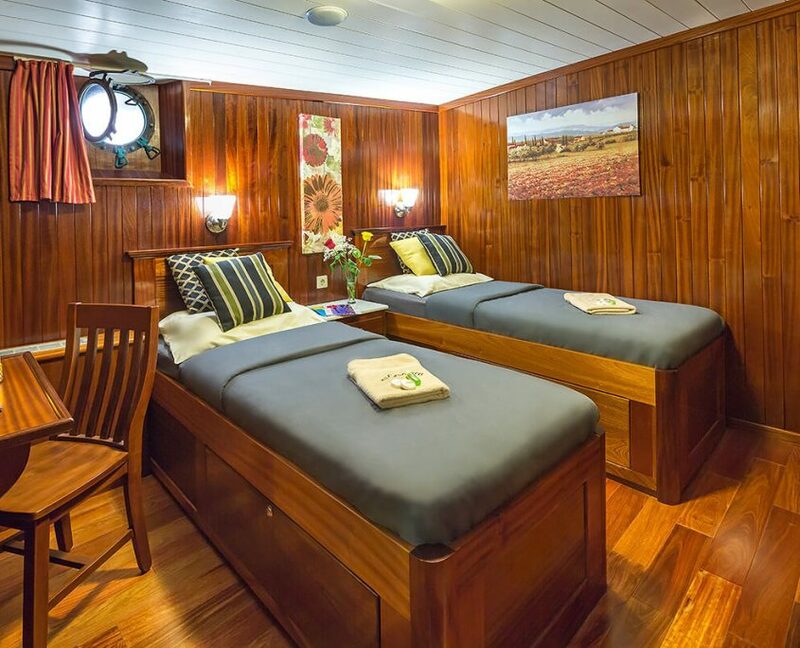 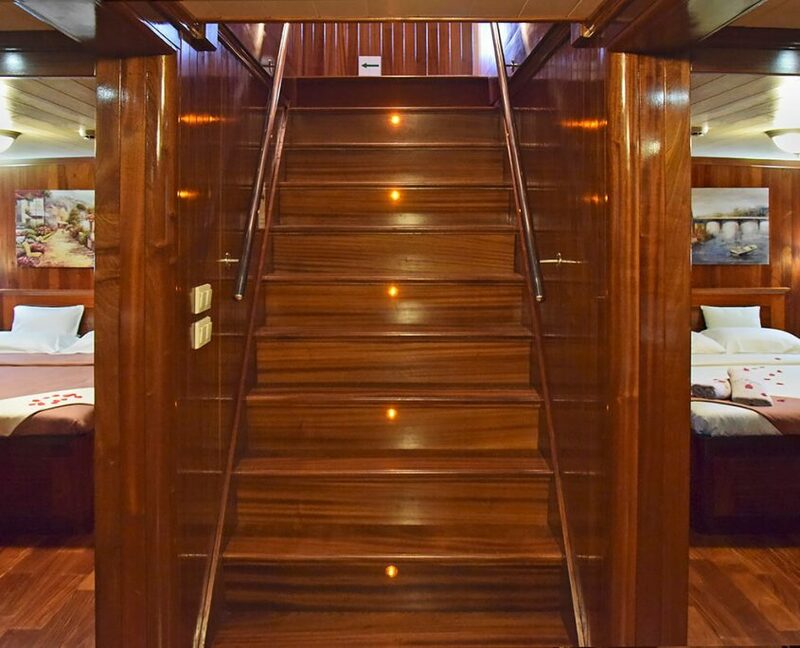 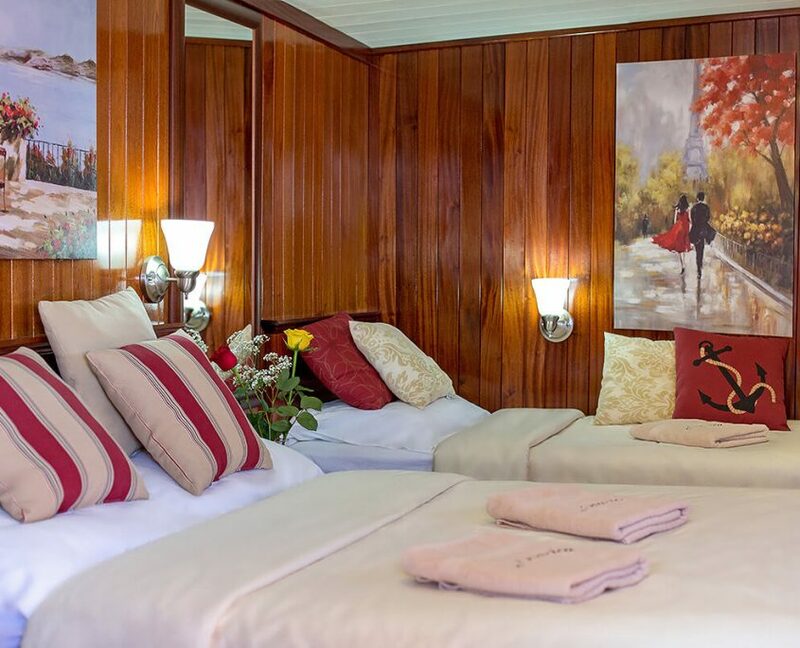 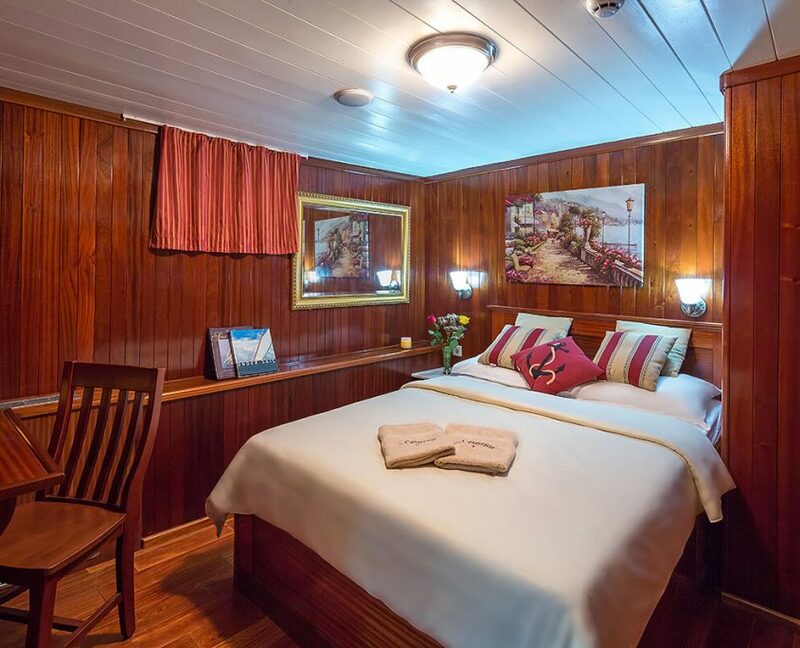 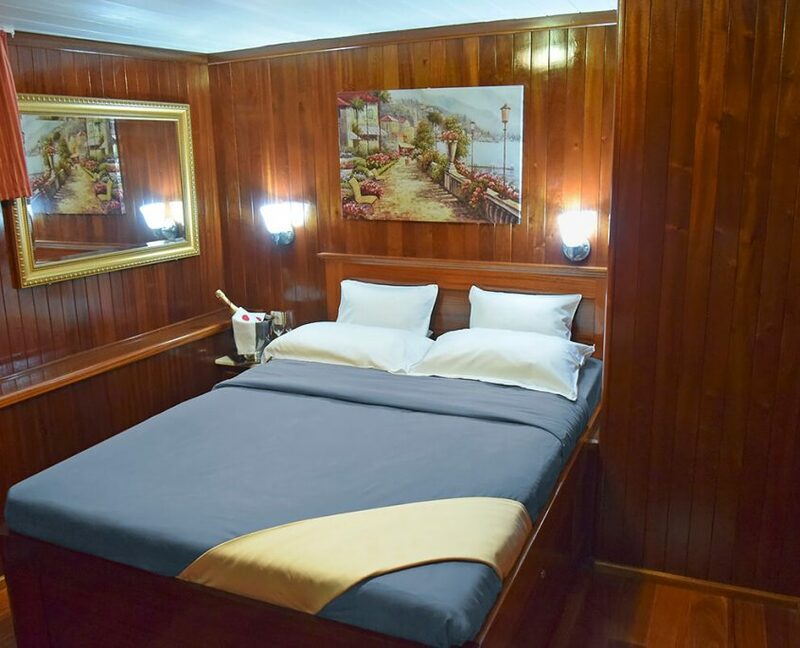 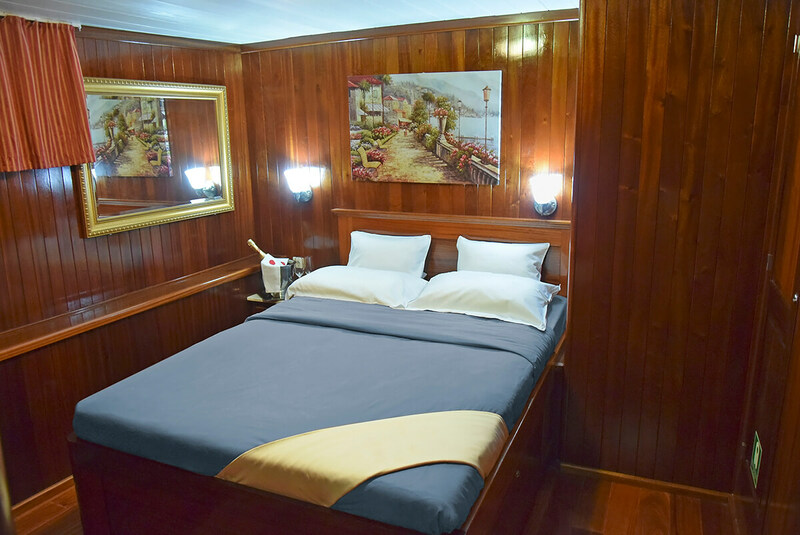 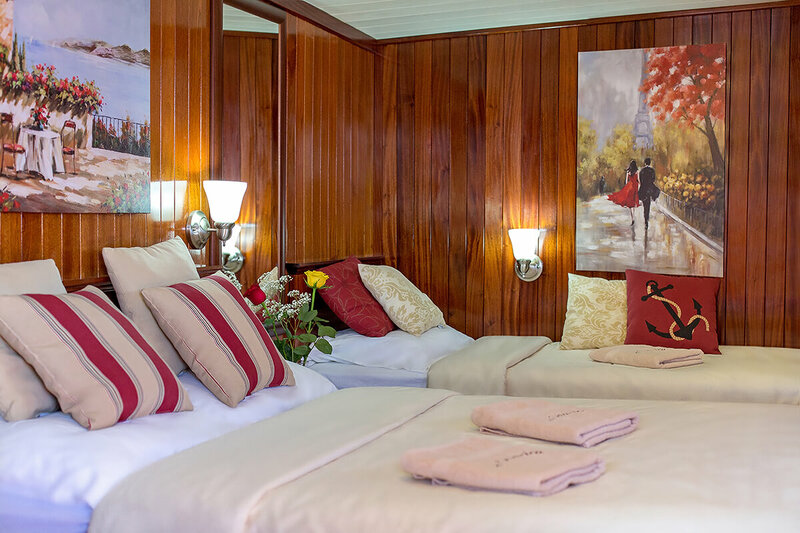 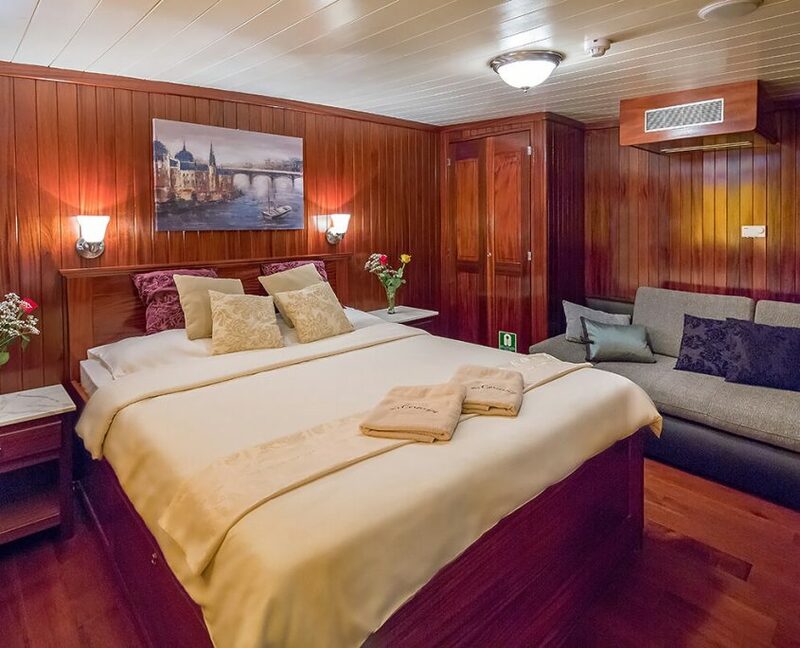 16 + 2 guests in 8 cabins with private bathroom equipped with home type toilet. 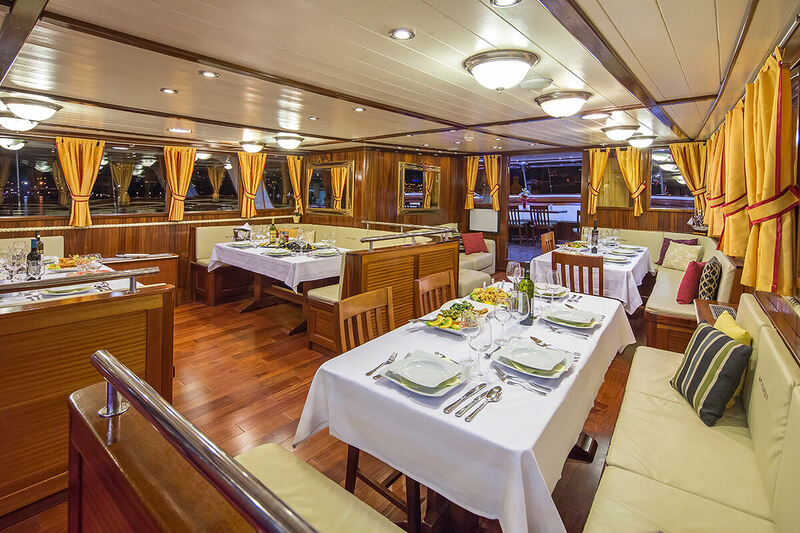 Great and professional crew with hospitality.